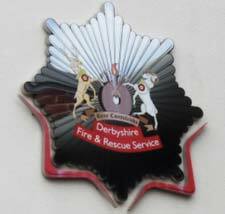 As we reported earlier this week HERE, Derbyshire Fire & Rescue Service (DFRS) will be taking part in a second period of national industrial action tomorrow, Saturday 19th October 2013 from 18:30 until 23:30 (6:30pm to 11:30pm). Whilst the DFRS will continue to provide an emergency response service, albeit at a reduced level, during the strike period, it as at a time which can usually be a busy one for the fire service, as many people are at home with their families and many more are out and about socialising. Many people will be at home preparing a meal during this time, or returning from a night out and feeling hungry. The kitchen can be a very dangerous place to be if not treated with respect; DFRS would therefore like to remind people of some simple tips to ensure they cook safely and stay safe in the kitchen during the industrial action. Keep the oven, hob and grill clean and in good working order. NEVER cook after drinking alcohol - order a takeaway! Ensure cigarettes are Put Out, Right Out! Area Manager, Bryan Bennett said: "Once again we are calling upon Derbyshire communities to take ownership for their own safety during this period of industrial action and help prevent accidents and emergencies from occurring. "Our simple safety tips will help everyone provide the first wall of defense against disaster and ensure everyone stays safe. 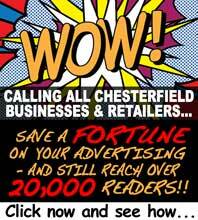 "I would urge everyone to visit our website www.derbys-fire.gov.uk and follow us on social media for more valuable advice and information, during this and any further periods of industrial action." Police and emergency services are on the scene of a house fire at North Wingfield this morning.